» The Top 8 Best Kayak for Camping! The Top 8 Best Kayak for Camping! Maybe you are an outdoor enthusiast but you’re more into being on the water than trekking or hiking. Maybe you like to take your adventure to the sea. Maybe dominating any and every water body with your boat is your favorite hobby. If that is the case, then this article is for you. The word “Boat” is a broad term and embodies multiple different types of water vessels. So, a boat could mean a yacht, a ferry, a canoe, a kayak or any other watercraft. In this guide, we will be talking about kayaks. 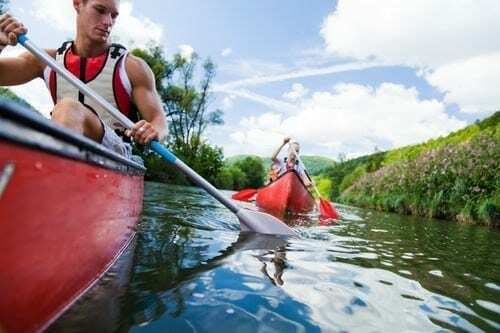 If you are a person who loves kayaking or you’re learning the art of kayaking, then you probably know that the internet has a ton of misinformed information when it comes to kayaks. 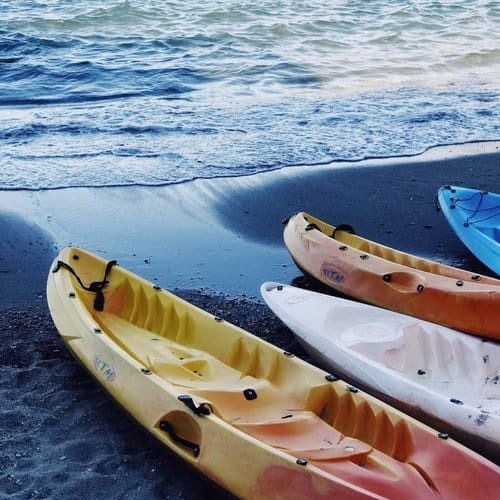 In this review, we will recommend a few of our favorite kayaks to you along with a few pointers to keep in mind of when buying a kayak. What to look for when buying a kayak? A kayak is a narrow, small boat that is driven with double-bladed paddles. A kayak generally has a deck which is covered and a cockpit. Kayaks were originated and used by Inuit and therefore derived from the Inuit word ‘qajaq’ or ‘qayaq’. It has a streamlined shape with a broad center and narrow, tapering ends. Usually made of plastic and rotomolded entirely of wood or wood with fiberglass sheathing. Many kayaks are inflatable or folding as well. Modern kayaks are constructed with the help of Computer Aided Design (CAD) software. Modern kayaks are mainly used for recreational purposes like touring in calm waters, whitewater racing, and fishing. Hull: The main body of the kayak including its bottom, sides, and deck. Deck: It is the floor of the kayak. Rudders: The rudder is a primary control part. It provides operators the ability to steer the kayak in any direction using their feet by a rudder system with wires connected to pedals. The rudder used to be absent in the older kayaks used by Inuit, but modern kayaks have this component. The rudder works on the principle of forwarding momentum. When a force in the form of paddling is applied, there is a drag on the side of the kayak that the rudder is turned towards and therefore that side of the kayak slows down while the other maintains momentum. Retractable Skeg: A skeg is an extension of the keel of the boat that has a rudder. This retractable skeg is useful for positioning the hull. It can be powered up or down using a manually controlled lever. 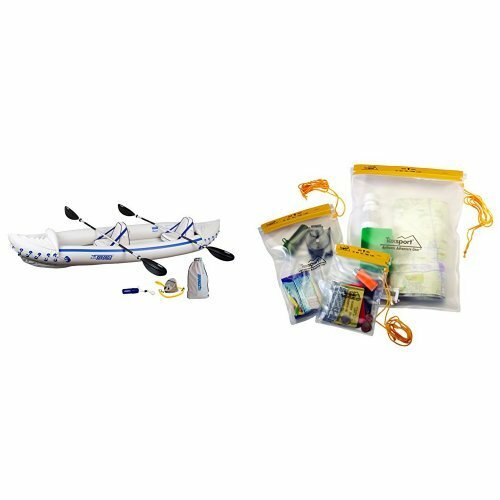 Kayak Drop Skeg: The drop skeg is essential for tracking and can be dropped completely down or up from the water by an external cord. Rudder Support Bracket: When the rudder is not engaged it sits in a bracket on the stern deck. It ensures that the foot paddles do not move, thereby providing paddlers with solid footing. It also provides a safety lock position for rudders so that the kayak can be transported safely. Rudder cord: This allows the user to control their rudder system and move it up or down manually using a cord. Drain Plug: The drain plug enables the water to drain out of the kayak, in case water gets in the boat. Kayak Backband: A back band is basically a backrest that creates a connecting point between your back and the kayak. It is essential as it protects the back from injuries. In most kayaks, the back band may be adjustable. You generally want the back band to support your lower back without it being too tight. Cockpit: This is a piece of equipment that the majority of people are familiar with. A cockpit is a place where the operator sits and navigates the kayak. The cockpit may be single or double depending on how many people can be accommodated in the kayak. Kayak Seats: The seats in most kayaks are supposed to be comfortable and adjustable. The number of seats in a kayak varies. Bungee Shock Cords (Stern): This part of the kayak is present to give the person steering the kayak an ability to rescue themselves in case of any accidents. 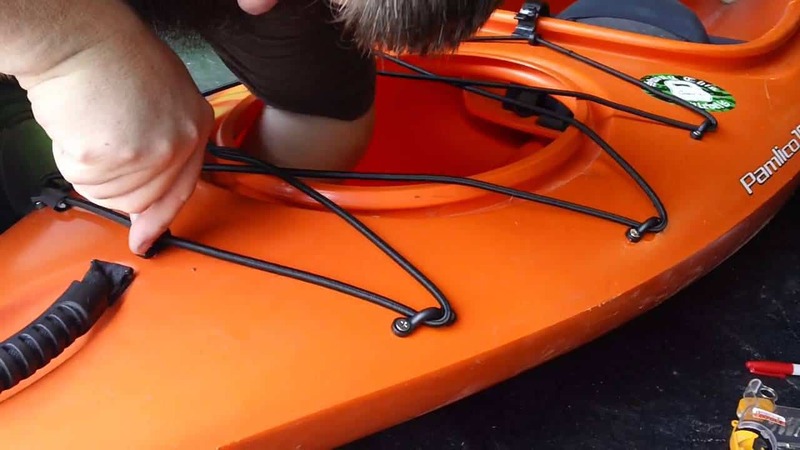 Most kayaks have this feature and the cords are usually shaped like the letter ‘X’. Bungee Shock Cords (Bow): This part is mainly useful as a small storage system that is easily accessible. Small items like maps, water bottles, Radio transmitters, and GPS navigation systems can be stored here. Kayak Foot Braces: Kayaks have either sliding or rotating foot braces or they may be fixed to provide a solid bracing. The first type of foot brace system is most common in North American kayaks having a rudder while the latter is more popular in kayaks used in British waters. Kayak Hatches & Storage Compartments: The user can use this component to store any items that they might want or need. Based on the make of the kayaks, this area could have oval or rounded rubber-based hatches or composite hatches. Kayak Bulkheads: This area serves as a wall of sorts and separates the storage area from the cockpit. Bow: This is the front end of the kayak. Stern: This is the back end of the kayak. Grab handles: Handles at the stern and bow of the kayak that help to safely carry it. Cockpit Combing or Rim: This is the side of the cockpit where a water absorbing or waterproof material can be placed to keep the kayak dry. Cleat: The cleats are located on the sides of the kayak and help to safely lock down the rudder in a position for easy transport of the kayak. Thigh braces: This brace point allows the user to secure their legs below the cockpit area. Thigh braces help in better weight distribution. Of course, an essential tool of a kayak is the paddle. The paddle helps to propel the kayak in the desired direction. Kayak paddles vary in size, shape, and type but all kayak paddles have three basic parts: A shaft and two blades. The blades are at either end and are the main mobility devices while the shaft is the long part that paddlers hold onto. The shaft connects the two polar blades. Those were some of the basic parts of a typical kayak. There will be a few changes based on the place it is manufactured as well as its use and customization. 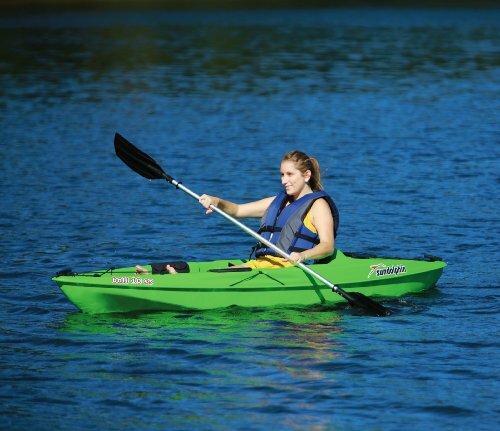 The general design of a kayak is generally a balance between features such as stability, speed, and maneuverability. Kayaking also largely depends upon the size and build of the person and these factors determine the balance of the vessel. The length of a kayak can vary depending on its use. The longer kayaks are faster than shorter ones. But the longer a kayak is the more difficult to steer. Kayaks designed for covering long distances are longer in length, measuring about 15-20 feet. Weight displacement in kayaks is an important factor for your water adventure to be fun and smooth. The displacement of the gear and the paddler has to be maintained to the kayaks standard because if the displacement is not sufficient the kayak will sink and if the displacement is excessive then the kayak will float too high and drag a lot, thereby making it difficult to operate and lowering its speed. 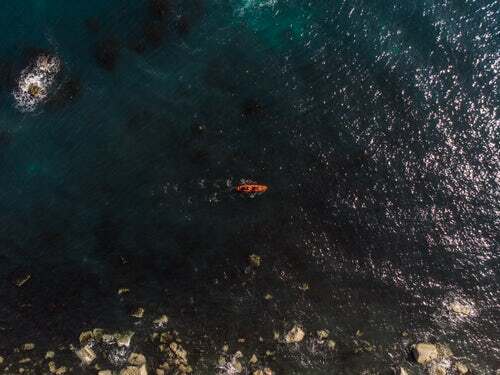 Rocker refers to the elevation of the bottom of the kayak or curvature, and it is another factor that determines how smoothly the kayak will steer. The kayak is smooth to handle with a moderate rocker. If the rocker is too short or is completely absent, then the entire bottom of the kayak is in contact with the water and therefore it has to cut through more water, but if the bottom has more rocker then the contact between the bottom of the kayak and the water reduces, therefore the water that the kayak has to move through also reduces and the maneuvering becomes easier. In kayaks, there are typically two types of stability: Primary stability and secondary stability. Stability regulates how easily the kayak will be balanced in the water. 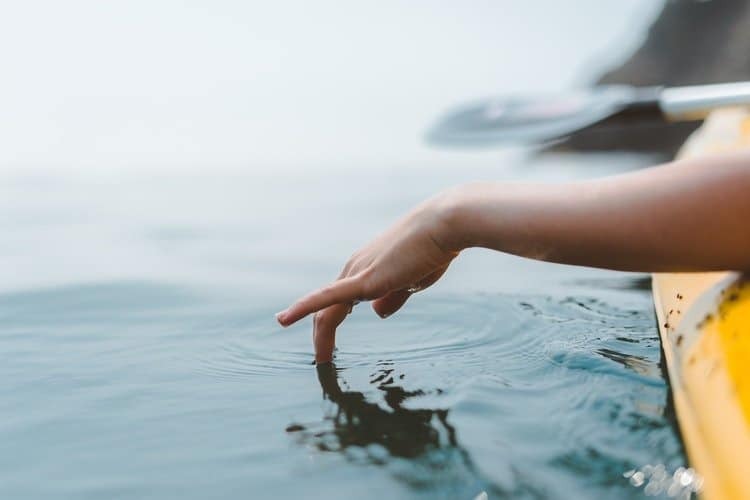 Primary stability refers to the relative balance of the boat flat on the water surface while the secondary stability is how stable the boat is when it is on the edge or on its side or when waves are passing under the kayak. There are so many people that don’t really know the clear difference between a canoe and a kayak. They both are similar in shape that is streamlined, having a broad center and tapering towards both the ends. They are both watercraft and can be used in similar water bodies. 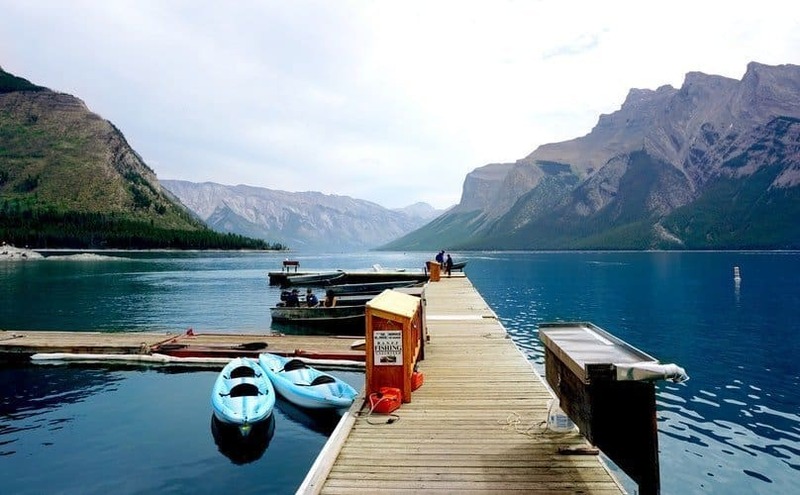 One of the differences between a canoe and a kayak is that a canoe is usually an open-top boat designed for two or more people who sit on a simple bench or kneel on the deck. A kayak, on the other hand, is a closed-top boat usually designed for a single person although there are variations available. A canoe uses a single blade paddle for maneuvering while a kayak uses double paddle blades for its navigation. Kayaks usually sit lower on the water surface than a canoe. The paddling technique used to maneuver a canoe and a kayak are also different. A canoe is propelled forward by alternate strokes of the single-bladed paddle on either side of the water. While a kayak is steered by stroking the water with first the right blade and then the left blade. A canoe paddle is held at the T-shaped end by one hand while the other hand holds the paddle from the middle. While the kayak paddle is held by both the hands in the middle at approximately 90 degrees angle. As with any other thing, kayaks are classified into several types based on their use. The main four types of kayaks are Sea kayak, White-water kayak, Recreational kayak, and Racing kayak. These kayaks are designed for casual paddlers who take up kayaking as a hobby. They are generally used for tourism. Recreational kayaks are not meant for strong ocean waves. They are more suited towards paddling in calm waters like a lake or a stream. These kayaks have a wider cockpit for easy entry and exit and limited cargo storing capacity. They are not very expensive and are made from cheaper materials. 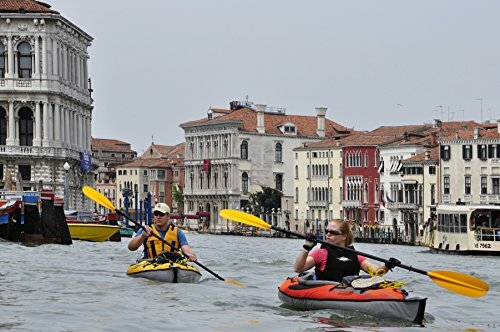 Sea kayaks are designed for kayaking in the sea and are designed for more than two paddlers. These kayaks have good cargo capacity and stability but not very good maneuverability. Sit-on-top kayaks and Surf kayaks fall in the category of Sea kayaks. 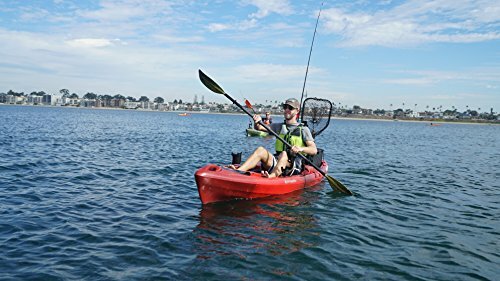 A sit-on-top kayak is more popular for scuba diving and fishing. These kayaks generally sit slightly above the water level and are wider and slower than other kayaks of similar length. A surf kayak is similar in appearance to a surfboard and has a flat bottom and sharp edges. The surf kayak is designed to use in ocean surf waves. These kayaks are made from strong and durable materials that can withstand highly dynamic water and still remain structurally intact. These kayaks measure about 4 feet to 10 feet in length. These kayaks are designed for racing and therefore are very easy to handle. 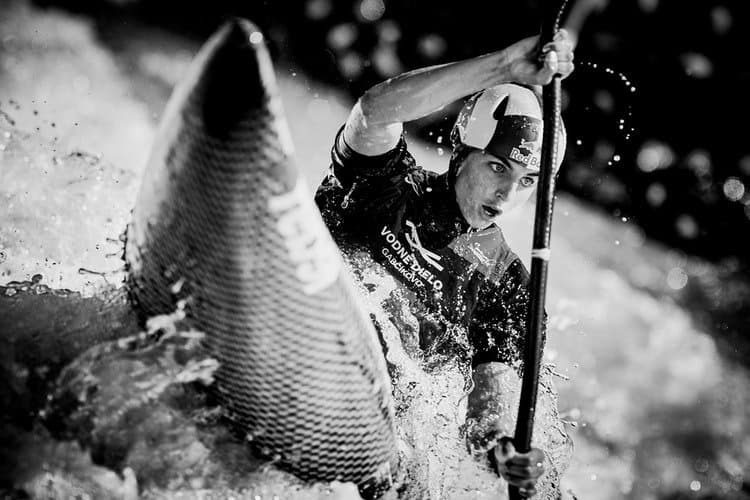 There are several types of Racing Kayaks, such as white-water racing kayaks, flatwater, surf-ski etc. 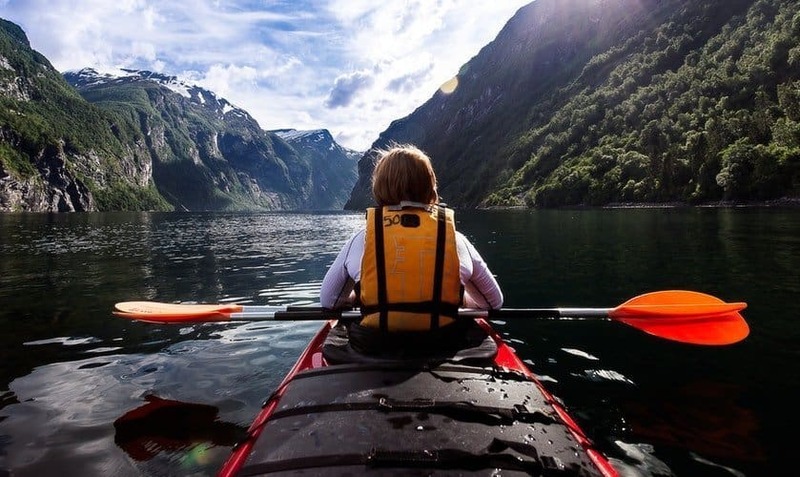 Buying a new kayak is a really stressful process because you want to get the best out of your money and also buy a kayak that is most suited to you. In this review, we are going to give a few pointers that should be kept in mind when buying a new kayak. Once you understand how you will use your kayak, the process of choosing a kayak seems infinitely easier. Determine whether you need a recreational kayak or a sea kayak or another type. This is the amount of inner capacity of your kayak. Typically, there are two types of kayaks based on volume. We have high volume kayaks and low volume kayaks. 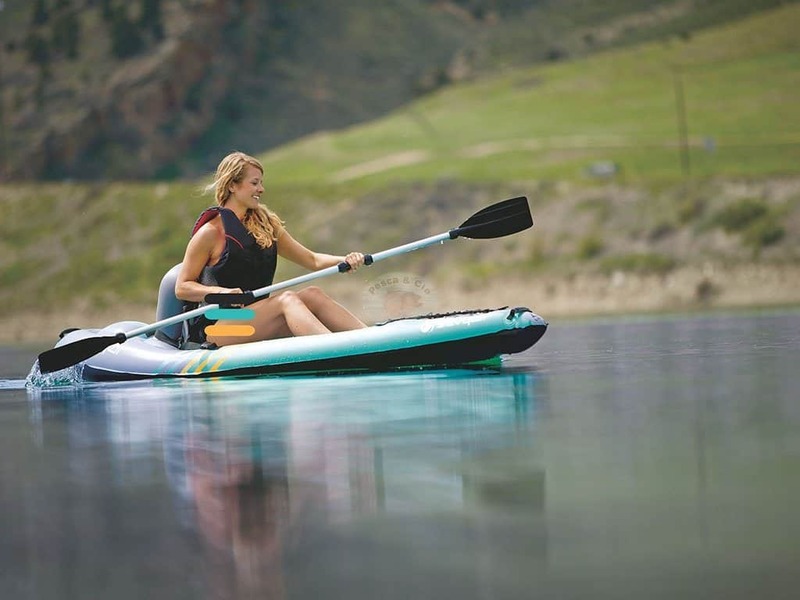 High Volume kayaks are more buoyant in water and therefore resurface quickly. These kayaks are especially useful for beginners or for people who use their kayaks in fast-moving waters. The water is shed quickly due to the rounded shape of the kayak’s bow and stern. Low volume kayaks are designed for freestyling maneuvers. They are mostly thin in shape having a raised bow and stern with little space. This kayak, however, is not suitable for using in white-water as the fast-moving water currents are too strong to cut through by low volume kayaks. This also hampers the speed and maneuvering power of the kayak. This refers to the shape of the bottom of the kayak. There could be displacement hulls or planning hulls. Displacement hulls can cut through the water current due to its curved and traditional streamlined shape. Planning hulls have a flat, less rounded bottom and the sides have a definite angle. 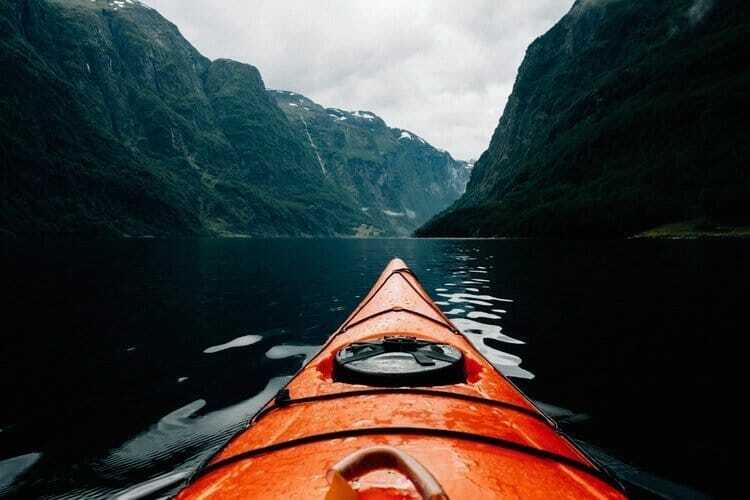 These kayaks move through the water when at rest or gently paddled but when it gains speed, the flat surface glides through the water and requires less muscle power. However, it may not be a good start for beginners as this type of boat requires some getting used to. Since it is significantly harder to keep the kayak moving in a straight line. This is the line where the bottom and sides of the kayak join. There can be soft chines or hard chines. Soft chines are more relaxed and are designed for casual paddlers. These type of kayaks have softer sides. They are more suited to shallow waters. Hard chines are edgy and allow the kayak to continue moving even when turned or spun around. The sharp edges do not glide as easily and can get caught on stones or pebbles which can flip your kayak. The optimum performance is offered by a chine which is at a 90° angle, although they are very difficult to control even by seasoned kayak paddlers. These types of kayaks need a skilled person handling it so they are not a good idea for beginners. We talked about this previously in this guide. There are basically two types of rockers and these are kicked rocker and continuous rocker. Kick rockers have an almost flat center and its edges have sharp angles. These keep only the middle of the kayak in contact with water and keep the edges above the water surface. This makes steering the kayak easier. A continuous rocker has its middle portion in a continuous curve from one end to the other end. This reduces the amount of contact between the kayak and the water making turning and maneuverability easy. This is another topic we talked about earlier on in this review. There are two kinds of stability, primary stability, and secondary stability. Mastering primary stability and secondary stability is the key to mastering the art of kayaking. People at the intermediate or expert level already know the correct technique of primary stability and only need to be concerned with the secondary stability. That is the key to nice and smooth turns. 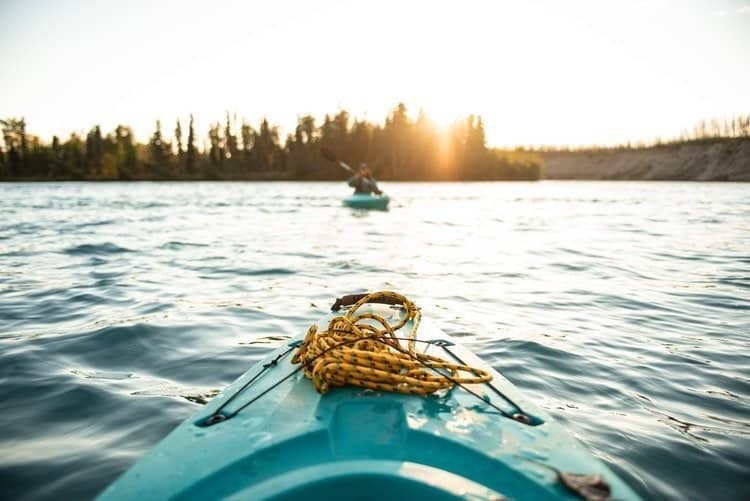 Your skill and specific purpose are two of the few things you need to keep in mind when buying a kayak that will not disappoint. We talked about the types of kayaks, its different parts, and things to keep in mind when buying one in this review. Now we will go over 8 of our favorite kayaks available today. This is a type of recreational kayak that is 10 feet long and weighs around 51 pounds. It is made of polyethylene and has a maximum onboard capacity of 350 pounds. This kayak comes with a paddle holder and a portable accessory carrier. 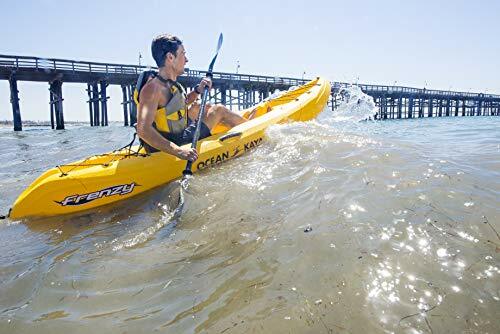 Additionally, this kayak is manufactured using UV stabilized materials which makes this kayak very durable as it can be used for a long period of time without the kayak getting damaged. This is another example of a sit-on-top kayak. It has a length of 12ft 4 inches with a width of 33 inches and a depth of 12 inches. It weighs around 60 pounds and can carry weight up to 450 pounds. It is designed for fishing and has a lot of storage options. The main storage areas are at the front, center, and end. There is an additional small seating area for a child. This kayak has four paddle holders and a platform for standing and foot braces. Both of these are adjustable. However, this kayak does not come with a seat so that is a disadvantage. 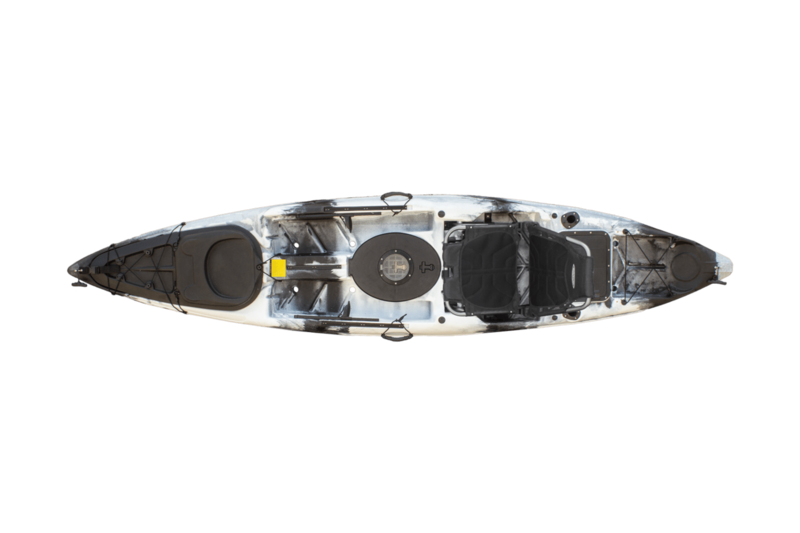 This kayak has a length of 12 feet and 6 inches and a weight of 32 pounds. With an onboard weight capacity of 650 pounds. It is made of polykrylar, and has a spacious design that is great for solo use as well as use with multiple people. There are two paddles included and both of them are interchangeable. This kayak is sun and saltwater resistant and comes along with a spray skirt. It is very cheap but very sturdy and durable. All of this makes this kayak a wonderful buy. This kayak measures about 10 feet 5 inches in length with a breadth of 32 inches. It weighs about 36 pounds and has an onboard weight capacity of about 300 pounds. 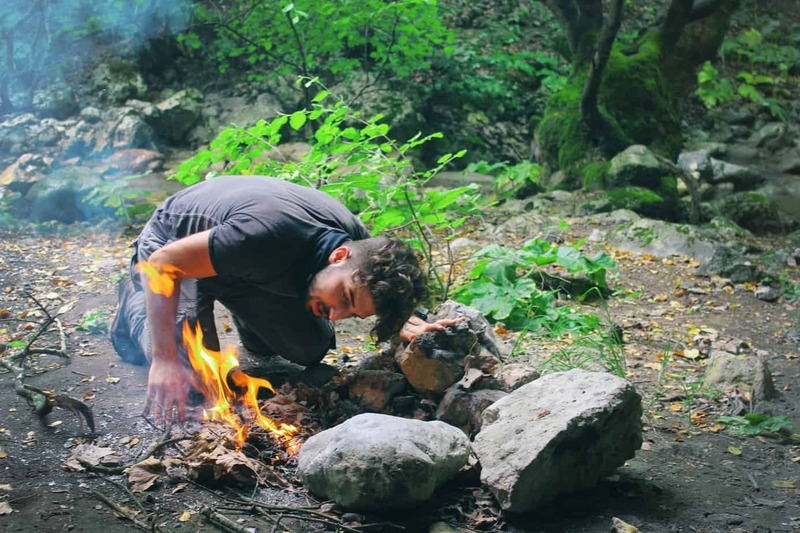 This is for those who like to go on solo adventures. This inflatable kayak has 7 air chambers so sinking while onboard this kayak requires a bad accident. This is a great kayak for anyone who needs extra storage space as this kayak has storage areas on-board which can be unzipped to use, there are also bungee ropes or cords that can be used to tie extra cargo. This kayak has built-in steel ribs that help to maintain the shape of the kayak. This incredible kayak is lightweight and inflatable. 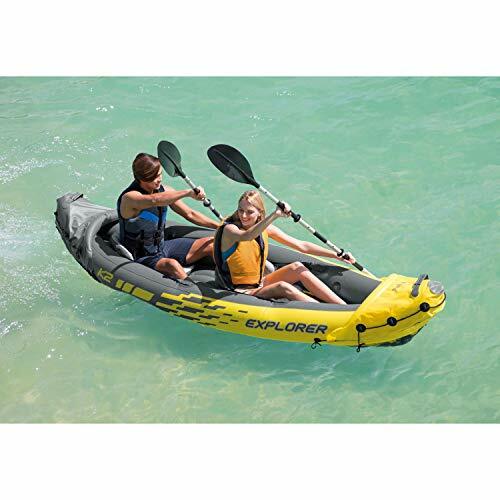 This kayak is a great option for those outdoor enthusiastic couples who love nothing more than a new adventure. This 2-seater kayak is inflatable with a length of 10 feet and 3 inches. It has a weight of 31.3 pounds and a maximum onboard weight capacity of 400 pounds. It is made of heavy-duty puncture resistant vinyl. This kayak is entirely waterproof. Its material makes it resistant to punctures or holes and thereby it is extremely safe to use and durable. It includes two paddles, a skeg that is removable and a pump. It is one of the best tandem operable kayaks out there. It is lightweight and therefore easy to transport. It has a sleek and a sporty look that is aesthetically very pleasing. The two seats are completely adjustable. This kayak has a length of 10 feet and a width of 29 inches. It has a weight of 52 pounds and an onboard weight capacity of 325 pounds. This a sit-on-top type of kayak and it is relatively cheaper so this kayak will not break the bank. This kayak has a good storage space and is recommended for anyone who carries a lot of things with them. The main storage area is the bow and another one is directly behind the seat. The seats on this kayak are extremely comfortable and there is also a place to keep the paddles. However, the disadvantage of this kayak is that it does not come with paddles so you need to buy the paddles separately which is a real bummer. This kayak has a length of 8 feet and 7 inches and it weighs somewhere around 18 pounds. It has a maximum onboard capacity of 400 pounds. This kayak is made using 21-gauge PVC material. It is an inflatable kayak and therefore is very light. It comes along with a paddle, a pump, and a backpack to store your kayak when not in use. This kayak is highly durable as it has a tarpaulin bottom which gives the kayak added protection. Although this kayak is not puncture resistant, it has multiple air chambers which will help to keep you afloat in case any accidents occur. This awesome product comes with a 90-day warranty. It is the kind of product that will not disappoint you and work as it is advertised. This product has a length of 9 feet and a width of 31 inches. It weighs about 44 pounds and has an onboard weight capacity of 325 pounds. It is a solo paddler and a type of sit-on-top recreational kayak. It has an adjustable seat. This kayak typically comes in beautiful colors like yellow and orange. So above was a list of a few of our favorite kayaks. Buying a kayak is a highly personal experience and it varies from one person to the other. As long as your needs are pretty clear, you will wind up with the right kayak. Above is a list of a few of our favorite kayaks. Buying a kayak is a highly personal experience and it varies from one person to the other. As long as your needs are pretty clear, you will wind up with the right kayak. Feel free to utilize the info above to make an informed and educated decision when buying your next kayak. 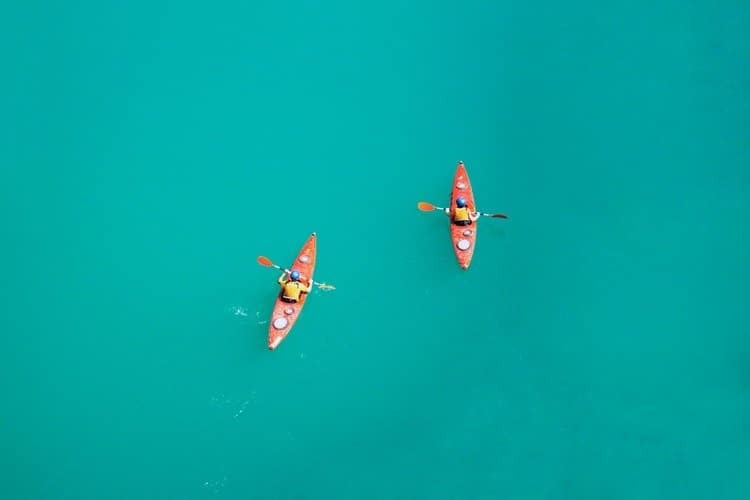 Always remember that it is best to do your own research to determine which kayak is best for you, and remember to think about what kind of kayaking you plan on doing before making a purchase! The Chaco Updraft EcoTread 2 Sandal Review: Is This the Shoe for Summer?